KALULUSHI Mayor Rashida Mulenga has said critics of the Patriotic Front (PF) and President Edgar Lungu will be proved wrong because the ruling party is set to fulfill its campaign promises and improve people’s lives in the next five years. Mr Mulenga said President Lungu and his team would not fail to fulfill his campaign promises because he was being led by God and was set to overcome every challenge the country was facing in achieving economic recovery and national development. In an interview in Kalulushi yesterday, Ms Mulenga said President Lungu’s humility, calmness and maturity had earned him support from peace-loving Zambians who were happy with his leadership. “Most critics of President Lungu are not genuine critics, but they are just disgruntled people who want him to fail on any mission, but I can tell you that President Lungu will not fail. If anything, his critics will be proved wrong because he will deliver on his campaign promises. 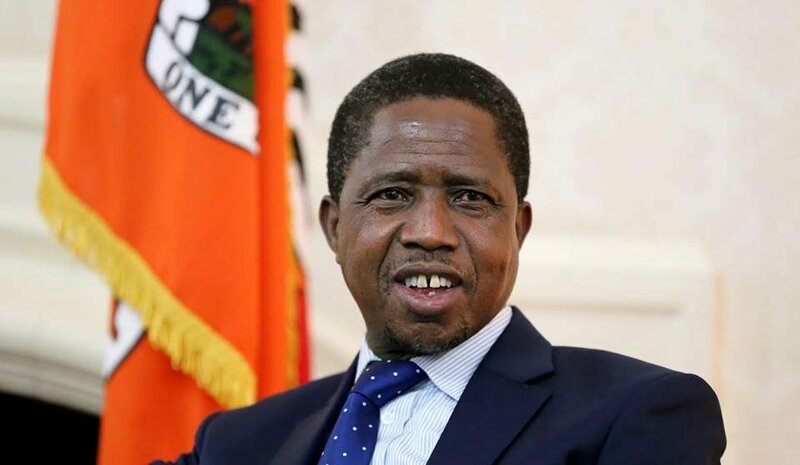 “Most of President Lungu’s critics are people who harbour hatred against him because God decided to make him President when they thought they would become republican President. While they looked down on President Lungu, God exalted him and made him President. This is why most of them are very shocked and want to fight President Lungu’s Presidency in the courts of law,” Ms Mulenga said. 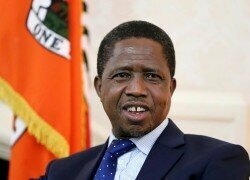 She said President Lungu had always demonstrated that he was a leader who would do the wish of the people by signing the republican Constitution which had the 50+1 threshold, the running mate clause and provision which stated that the President-elect should be sworn after seven days if there was no petition. “The clause of 50+1 threshold, the running mate and the swearing in of the President-elect after seven days if there was no petition, were being avoided by President Lungu’s predecessors, but he signed it and went ahead to face it. This shows that he is a leader who respects the will of the people. “He does not do things to make himself happy. No! President Lungu has shown that he is a law abiding citizen and was ready to follow the republican Constitution which he assented to. He is not like dictators who change laws overnight to suit their selfish and greedy interests,” She said. She also said President Lungu had exhibited leadership qualities by remaining calm, patient and preaching against violence while waiting for the outcome of the Constitutional Court. She said opposition leaders who were calling President Lungu a dictator, were actually the worst dictators in their political parties because they had never held a convention. Ms Mulenga said if some opposition leaders were to be elected as republican President, they would be worst dictators because they did not have the interest of the people at heart. “We are grateful to God that he has given us Mr Lungu as republican President. We are grateful to God because President Lungu is a humble, mature and God-fearing leader. He is not arrogant and his language is inspirational unlike some opposition leaders who are specialists in insults,” she said. Ms Mulenga said elections are won in the ballot and not in the courts of law, hence those who lost the August 11 elections should graciously concede defeat and start preparing for the 2021 elections. “Before starting to prepare for the 2021 elections, they should consider going for a convention so that their members should make a decision on who should take over the running of the party. “It does not make sense for a leader of the political party to talk about democracy in the country when there is no democracy in his party. So I think instead of running from one court to the other, the UPND should look at going to the convention and start preparing for 2021 elections,” she said.